Anri Sala, an Albanian artist living in Paris, has gained international attention for his video, animation and photographic works. With an emphasis on slowness, stillness, and intimate detail, Sala explores the interface of documentary and fiction. His painterly works elicit an undercurrent of tension that speaks to political and social realities, articulating loss and alienation through a specificity of place and cultural context that seems rooted in memory and history. 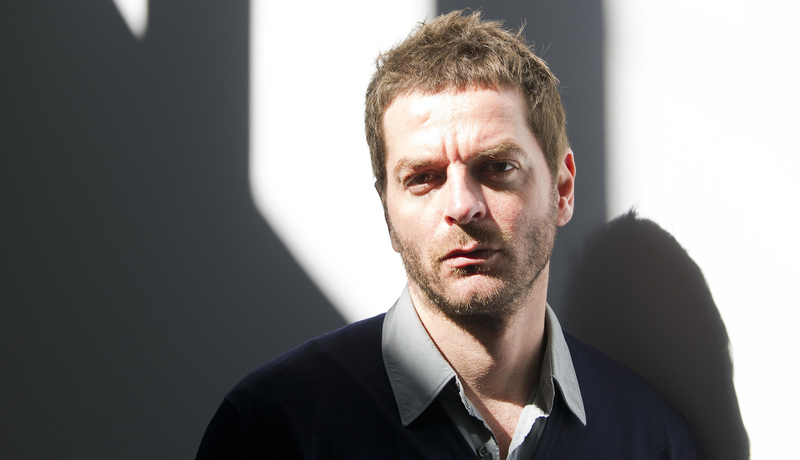 Anri Sala was born in 1974 in Tirana, Albania. He studied painting at the National Academy of Arts in Tirana, video at the Ecole Nationale Supérieure des Arts Décoratifs in Paris and film directing at Le Fresnoy—Studio National des Arts Contemporains—in Tourcoing, France. In 2001 he received the Young Artist Prize of the 49th Venice Biennale. His works have been widely shown internationally, at institutions including MAMCO, Geneva, Switzerland; Dallas Museum of Art, Texas; Ikon Gallery, Birmingham, England; Kunsthalle Wien, Vienna: ARC, Musée d’Art Moderne de la Ville de Paris, and the New Museum of Contemporary Art, New York, among others. He participated in Utopia Station at the 50th Venice Biennale; the 24th Bienal de Sao Paolo; Manifesta 4 in Frankfurt, Germany and Uniform: Order and Disorder at P.S.1 Center for Contemporary Art, New York.